The Old Globe will throw open its doors for a 2015 Summer Season featuring Shakespeare on stage and in film, continuing its celebration of the Globe’s 80th Anniversary and Balboa Park’s Centennial. All of San Diego is invited to join us for a series of free Monday night films relating to Shakespeare through the eras to celebrate both the Balboa Park Centennial and the theatre’s 80th Anniversary. Globe Artistic Director Barry Edelstein and Beth Accomando, author of the KPBS blog Cinema Junkie, will alternate introducing the films. On June 29 at 8:15 p.m., the Globe will present Henry V, directed by Laurence Olivier in 1944, in the Lowell Davies Festival Theatre. It will be followed by Orson Welles’s 1965 classic Chimes at Midnighton July 13 at 7:00 p.m. and Joss Whedon’s 2012 Much Ado About Nothingon August 3 at 7:00 p.m. (both on the Donald and Darlene Shiley Stage in the Old Globe Theatre, part of the Conrad Prebys Theatre Center). The series will conclude on August 24 at 8:00 p.m. with Robert Wise and Jerome Robbins’s groundbreaking 1961 New York City riff on the Bard’s Romeo and Juliet, West Side Story, in the Lowell Davies Festival Theatre. All four screenings take place on Mondays, when the Globe’s summer theatre productions are “dark” (their day off for the week). Admission is free, in celebration of the Globe's 80th Anniversary and Balboa Park's Centennial. Reservations are recommended and can be made only by calling (619) 23-GLOBE (234-5623). Reservations are available now to Old Globe season subscribers. Tickets will become available to the general public on May 26 at 12 noon. Seating is by general admission. 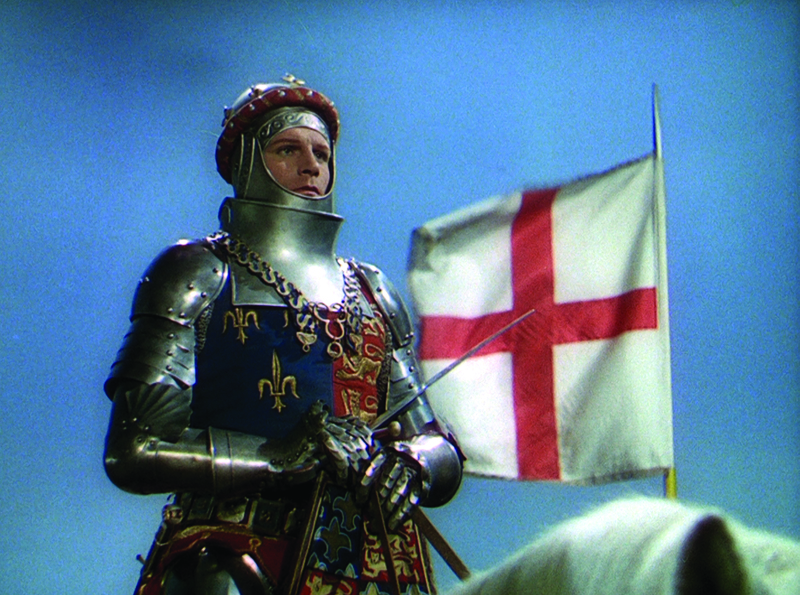 Henry V, directed by and starring Sir Laurence Olivier in 1944, will play at The Old Globe on Monday, June 29 at 8:15 p.m. as part of the Globe's summer film series, highlighting the best of Shakespeare on the big screen. Image courtesy of The Old Globe. 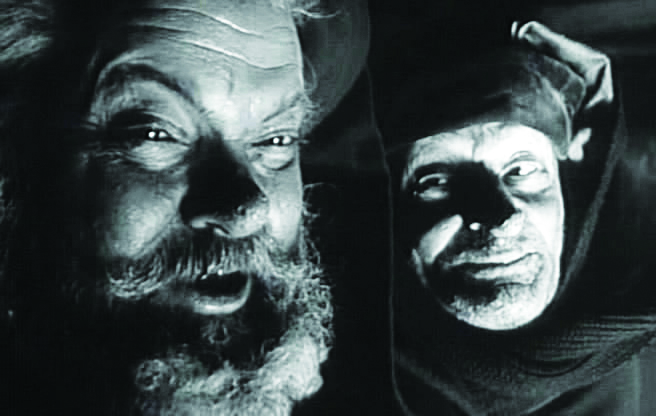 Chimes at Midnight, directed by and starring Orson Welles in 1965, will play at The Old Globe on Monday, July 13 at 7:00 p.m. as part of the Globe's summer film series, highlighting the best of Shakespeare on the big screen. Image courtesy of The Old Globe. Much Ado About Nothing, directed by Joss Whedon in 2012, will play at The Old Globe on Monday, August 3 at 7:00 p.m. as part of the Globe's summer film series, highlighting the best of Shakespeare on the big screen. Image courtesy of The Old Globe. 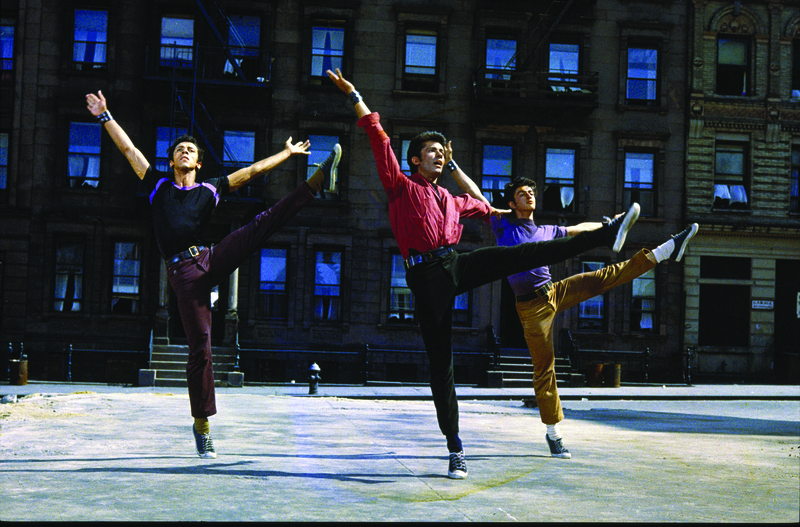 West Side Story, directed by Robert Wise and Jerome Robbins in 1961, will play at The Old Globe on Monda, August 24 at 8:00 p.m. as part of the Globe's summer film series, highlighting the best of Shakespeare on the big screen. Image courtesy of The Old Globe. 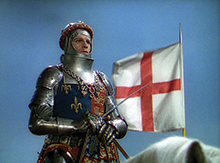 Sir Laurence Olivier made his 1944 directorial debut and starred in Henry V, a sparklingly inventive, Oscar-nominated film adaptation of Shakespeare’s epic history play. What begins as a performance in Shakespeare’s Globe Theatre shifts in grand cinematic strokes to an epic narrative of King Henry V of England, who has grown from a dissolute youth to a powerful monarch. Proving his ability as a valiant soldier and skillful leader, he unites the English army and, against tremendous odds, puts his empire on the line in a war with the French. Olivier brings the Bard’s heroic king to full-blooded life in this breathtaking and passionate cinematic masterpiece. 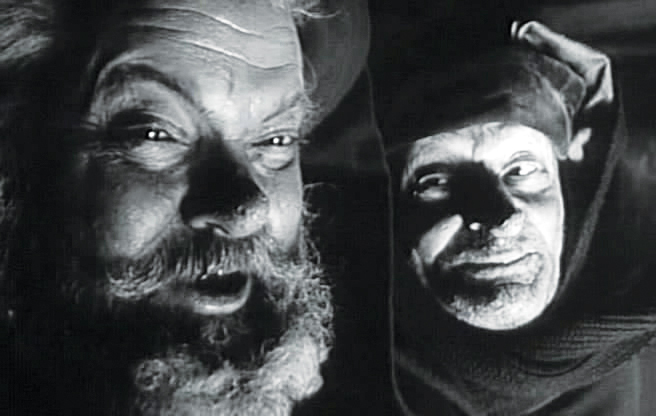 Widely considered the greatest film adaptation of Shakespeare ever made, Orson Welles’s acclaimed 1965 masterpiece Chimes at Midnight finds Shakespeare’s most famous supporting character, Sir John Falstaff, taking center stage. Drawing heavily on Henry IV and other histories by the Bard, the film follows the shifting relationship between Prince Hal and his drunken, obese, and altogether charming companion Falstaff (played by Welles himself). As Hal faces his destiny as England’s future leader, he must choose between loyalty to his friend and to his father, King Henry IV. Confronted with a world not as merry and secure as it once was, Falstaff must come to terms with this new chapter of his life and forge ahead—or risk getting left behind by a nation in change. Welles’s enduring gem, rarely seen on the big screen, delves deep inside one of Shakespeare’s most intriguing players to shine a light on one man’s joys, struggles, and triumphs. A riff on the Bard’s Romeo and Juliet, West Side Story, directed by Robert Wise and Jerome Robbins in 1961,explodes off the screen in one of the greatest movie musicals ever made. In 1950s New York City, two rival gangs, the Sharks and the Jets, struggle for dominance on the streets of their West End neighborhood. When two young teens meet at a dance and cross the battle lines, their love blossoms and offers them a way out of the tumultuous world around them. But as the hatred between the gangs escalates, this star-crossed romance threatens to destroy them all. 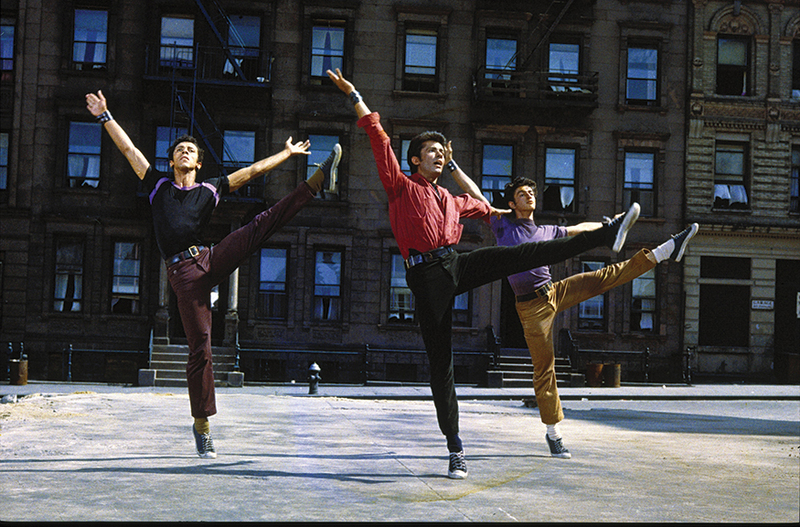 Featuring Leonard Bernstein’s iconic score and Jerome Robbins’s exuberant choreography, West Side Story won 10 Academy Awards, including Best Picture.